Phil Callahan - your real estate connection in Bryan-College Station, Tx. Phil Callahan was born with Aggie blood. His father was a 1936 graduate of Texas A&M University, and Phil knew from the time that he was a small boy that he wanted to follow in his father’s footsteps. He attended the university as a member of the elite Corps of Cadets, served as a student senator and Campus Muster Chairman during his senior year, and earned his bachelor’s degree in marketing in 1969. After serving two years in the U.S. Army adjutant’s general corps in Heidelberg, Germany, Phil attended Southern Methodist University in Dallas to earn his MBA. He soon realized that just because he had left TAMU, the university had not left him. In fact, his affection for the school and the Bryan-College Station community only increased with time. In 1976, Phil and his wife, Jane, decided to move back to College Station for its high quality of life and strong sense of community you feel everywhere you go. 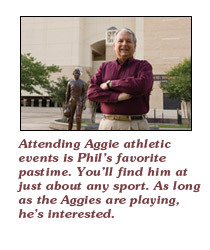 To this day, Phil is still deeply involved with TAMU in a variety of ways. He served as class agent for 25 years and is still active on planning committees for class reunions, and is part of a Class of ’69 breakfast group that meets every Friday morning at 6:30. He also attends Aggie sporting events regularly as well as cultural events on campus. “When you become an Aggie, you’re an Aggie for life,” Phil explains. After successfully owning his own businesses for many years, Phil turned his sights to real estate and even owned his own company at one time. 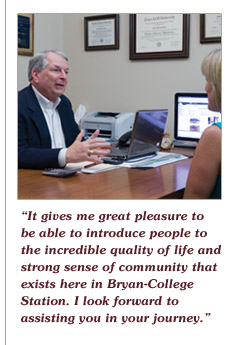 As a local expert since 1987, he specializes in helping parents of incoming students and retirees make the most of their transition to life in Bryan-College Station. Phil’s approach to real estate is defined by providing sage counsel to his clients and giving them all the information and options possible to make the best decision for their needs. It also gives Phil great pleasure to be able to help people get acclimated to the community, whether that means teaching them about using “Howdy” as the preferred greeting or helping them find the right golf course to fit their game. As a longtime local resident, his knowledge of the Bryan-College Station area is unsurpassed. As a member of the Corps of Cadets at TAMU, Phil was part of the elite organization whose motto is, “The Keeper of the Spirit.” Anyone who knows Phil will tell you even though he graduated more than 40 years ago, he still upholds that motto to this day. You simply will not find a more valuable real estate or community resource throughout Bryan-College Station than Phil Callahan. If you’re considering a move to, from, or within the area, put a local expert on your side by giving Phil a call today. As Your Aggieland Specialist, he is the best choice for all your real estate needs. 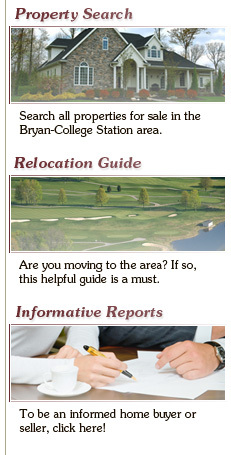 Phil proudly serves the real estate needs of residents of Bryan-College Station, Tx.